When sizing an anchor or anchor rode, it’s useful to have starting point and to think of the whole system. 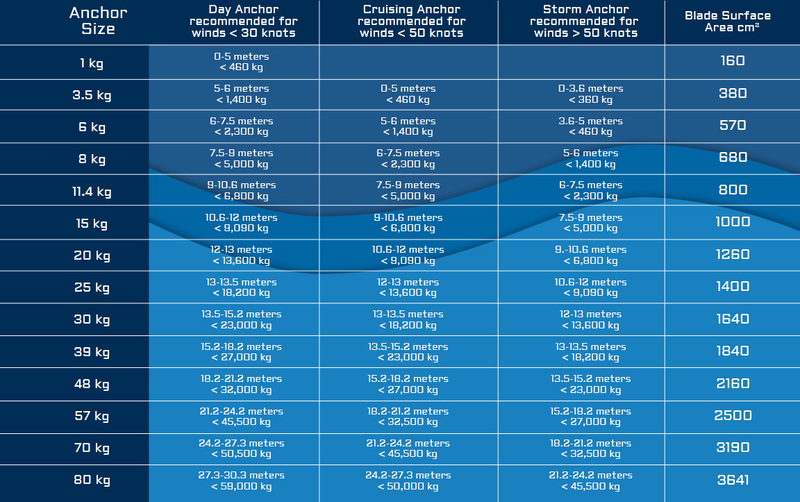 This is a table developed by American Boat and Yacht Council (ABYC) to approximate the expected load on the anchor and the anchor rode for given wind speed and boat length. 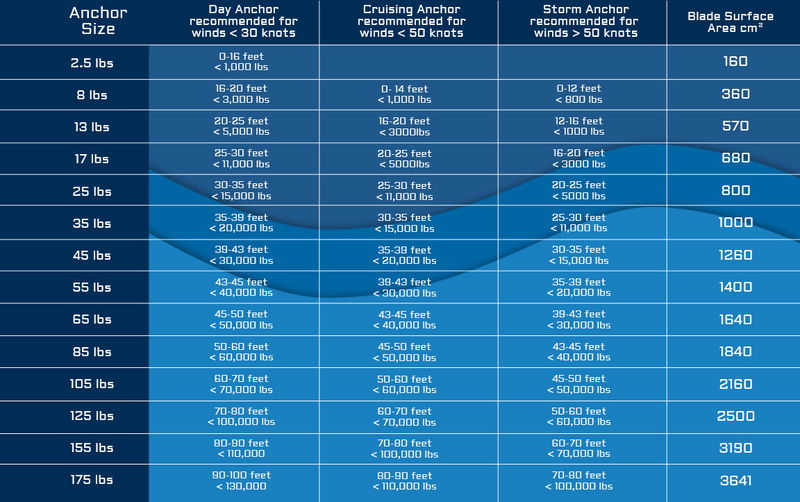 The complete table appears in Section H-40 of ABYC’s Standards and Technical Reports for Small Craft available at abycinc.org. The below table was created more than 50 years ago and it is not clear exactly how it was derived. 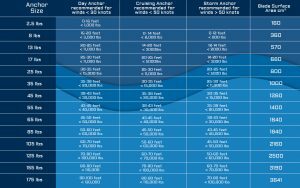 After comparing this data in this table to work that has been done since we come to the conclusion that the values presented here represent loads expected on the anchor rode if anchored on chain only without the use of the snubbing system. And using a line rode or and adequately designed snubber you can reduce the loads by a factor of 3, by eliminating the shock loads. 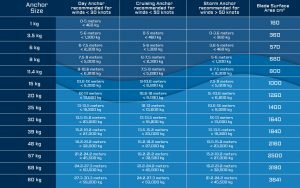 This is an argument for why its so important to use a snubber but when sizing anchor rode or your anchor, it is important to consider loads as stated in the table. The reason is that we can not rely on the integrity of a snubber in a storm. Should the snubber fail, the integrity of the rode should be sufficient to handle the loads without the snubber.